Starting today, the OnePlus X will no longer require an invite for purchase. Or, as any other manufacturer would say, the phone is now (actually) available. Yes, this is a very OnePlus-specific reason to get excited, but here we are nonetheless. The OnePlus X is going on regular sale a month or so after the OnePlus 2, which stopped needing invites this past holiday season. That was less than four months after the device launched, significantly faster than the original OnePlus. That debut phone took nearly a year to become easily accessible. Having launched in November, the OnePlus X is dropping its invite requirement faster than either of its predecessors. Either the device isn't selling well, or OnePlus is getting better at this whole making phones thing. 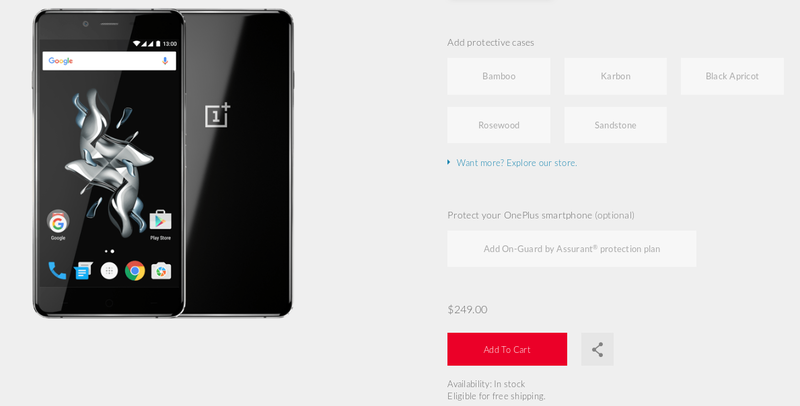 The OnePlus X remains available at a starting price of $249.00. If you plan on buying one, OnePlus is also selling select cases for 20% off. The power bank will be available for seven more days before going up in price to $19.00. The OnePlus X is a decent phone, though the lack of certain LTE bands makes it much less compelling in the US. It's also worth pointing out that the comments on OnePlus' Google+ announcement are, as of now, universally negative. The company has lost some of its goodwill, and the invite system doesn't seem to be helping. Fortunately OnePlus hopes to continue the current trend of making the invite period shorter with future devices. Maybe at some point we'll see it go away entirely. Question is, will customers still care?